Generoso and Lily’s Bovine Ska and Rocksteady: Ken Khouri’s Kentone Label 11-10-15 – LILY & GENEROSO 4EVER! After two weeks where Lily and I covered both Comikaze and the amazing films of AFI Fest for Forces of Geek, we had a blast playing programming tunes we love on the radio show! Thanks for listening in…If you missed it, check out the November 10th Bovine Ska and Rocksteady on Mixcloud! Kentone comes from a major lineage in Jamaican music history. Owned by Ken Khouri, it is an example of Khouri’s own evolution of the record industry in Jamaica. Born in Kingston, Khouri’s father owned dry goods and furniture shops in Kingston. A family friend also owned a dry goods store, and, after the sons inherited the shop, Ken would work for them. This family owned jukeboxes that were placed across Jamaica, igniting Ken’s interesting in the record business. Consequently, when he found a disc recorder in Miami, he purchased it and brought it back to Jamaica and started to record mento. With the recorder, Khouri would send tapes to London, and they would send back 78s. After working with this method for some time, Khouri realized that it would be helpful to have his own pressing plant, so he purchased the equipment from California and setup a recording studio and pressing plant to his studio, Records Limited, in the late 40s. And with this record pressing plant and recording studio in place, he started Time Records, his first label that was distributed by Alec Durie’s Times Variety Store. By the mid 50s, Khouri created Pioneer Company, which pressed Jamaican recordings and distributed foreign records as well. When the Pioneer Company moved to the Industrial Estate at Marcus Garvey Drive in the late 50s, Pioneer became a subsidiary of the mighty Federal Records. At Federal Records, plenty of the major soundsystem operators and producers used the studio to record tracks for their labels. Khouri also used his studio for his own record label, Kentone, where Byron Lee and the Dragonaires produced many recordings and also served as the house backing band. We kicked off the spotlight with one of the earliest Kentone releases from The Techniques, “No One,” which was originally recorded for Curtis Mayfield for Columbia Records and only released in the UK. 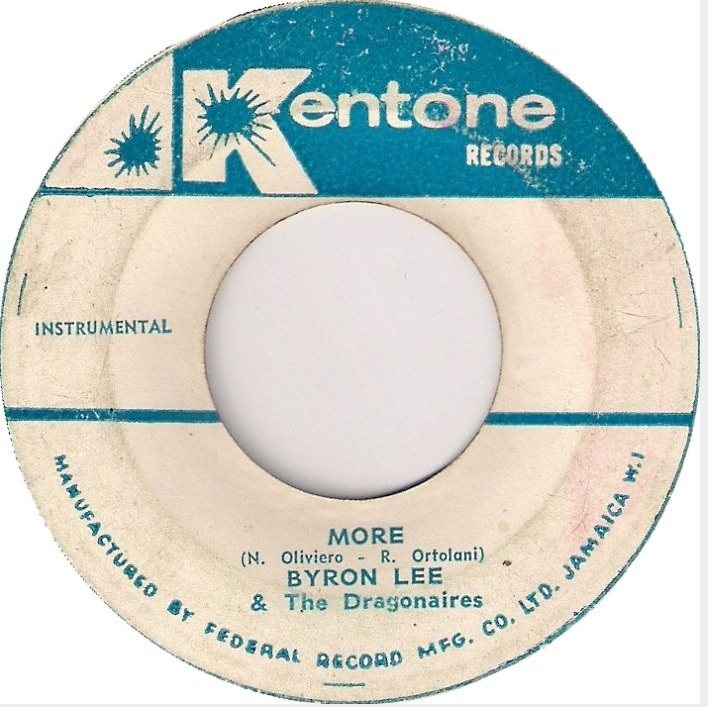 It is unclear if the Kentone release is a Jamaican distribution of that Columbia track, or if The Techniques re-recorded the track for Khouri. A clue could be that the Byron Lee and the Dragonaires were listed as the backing band on the Kentone release, but the answer is not clear. As stated earlier, many of the Kentone releases featured Byron Lee and the Dragonaires. Circa 1963-1965, the members were Ken Lazarus on Guitar, Byron Lee on Bass, Tommy Ismay on Saxophone, Chester Power on Trumpet, Barry Lloyd on Drums, Victor Chung on Bongos and Percussion, Carl Brady on Bongos and Percussion, Leslie Butler on Organ, Vernon Muller on Trombone, Frank Anderson on Trumpet. Again, can hear our full show from November 10, 2015 HERE. Subscribe to our show on Mixcloud, it’s FREE and you’ll get an email every Tuesday when our new show goes up.